There’s nothing quite as uncomfortable as sleeping on a mattress that isn’t right for your sleeping style. In this post I share what makes a great mattress for side sleepers, and which ones are my top picks of the year. All are in the price range that I think is best for a high quality mattress (without any over-paying nonsense). Here are my picks for the best mattresses for side sleepers in 2017. Prices listed are for queen sized mattresses. While I was compiling this list, I focussed on mattresses under $1200 and also made note of which ones work for both side and back sleepers (in case your partner has a different sleeping style than you). 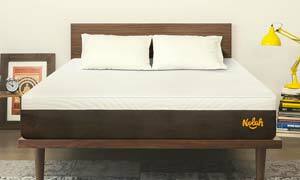 Below I go into detail about each of my top picks, then explain what makes a good side sleeper mattress. The following beds are all good for side sleepers. That being said, some of them might actually be too soft (and thus bad) for back sleepers. So if your partner is a back sleeper, take note of the ones that work for both sleeping styles! The Nolah is wonderfully soft, sleeps cool, yet maintains good support for your back. We highly recommend it for anyone who mainly sleeps on their side. Cost: $849 for a queen. Get $75 off below. The Amore mattresses come in three versions—the soft, medium and firm. Side sleepers will enjoy the soft version. 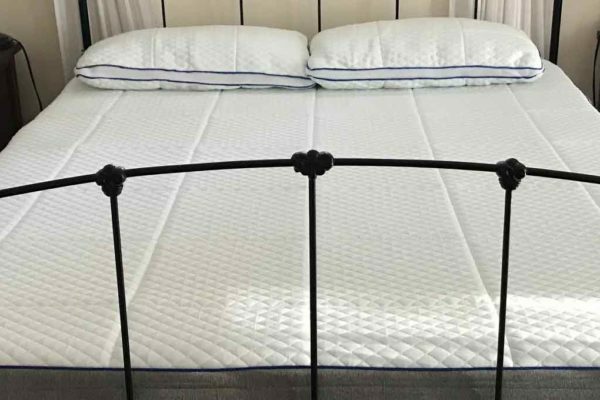 And if you and your partner have different sleeping styles, you can choose their dual firmness option and have your bed have a firm side and a soft side. Cost: $850 for a queen. Get $60 off with the code below. 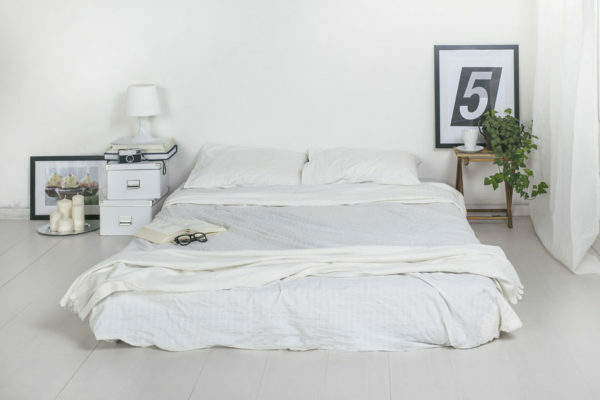 The Eight Sleep mattress is different from the other on this list—it’s a Smart mattress. This means that the mattress itself hooks up via Wifi to your Smart Home system (e.g. Nest) and communicates about your temperature and restfulness while you’re sleeping. They work together to cool the room or warm the bed to keep you feeling snuggly and in a deep peaceful sleep. Cost: $1049 for a queen. Purchase one here. If you are in a relationship where one person is a back sleeper and one is a side sleeper, we highly recommend The Love and Sleep Medium. It’s what we actually sleep on every night (except when we’re reviewing other mattresses). It feels like sleeping on a cloud, whilst maintaining good support. Cost: $599 for a queen. Buy below. The Freedom Sleep mattress website focusses largely on patriotism—this is a mattress by Americans, for Americans. Which to me seemed a little bit like a gimmick, so I wasn’t expecting much from this mattress when they sent one to me. But this mattress actually delivers. It’s perfect for back and side sleepers, and is a nice combination of soft and comforting while providing a good amount of support. It felt like a fancy hotel bed. 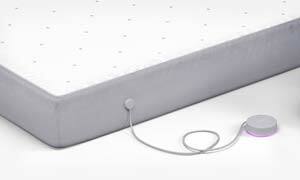 Best Features: Great for back and side sleepers, one of the lowest prices on the market. Cost: $599 for a queen. Get $50 off with the code below. Choosing a mattress as a side sleeper can be a tough process. Many bed factors can have a drastic effect on your sleep. Firmness, Support, Pillows, and Temperature all play vital roles through the night. It’s important for side sleepers to choose wisely, as a bad mattress will affect you more than back sleepers. Pinched nerves and back alignment issues are just some of the problems you could face. 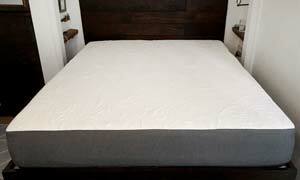 Understanding all the factors helps guide us to discover the best mattress for side sleepers. Sleepers feel the firmness of a bed immediately, but your body will notice the support over time. When looking for good support, buyers should pay attention to the bed’s construction. Beds should have a firm foundation that is at least 6″ high. 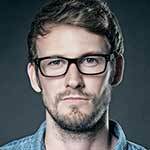 We have found that coils provide the best support, but they do cost a bit more money. 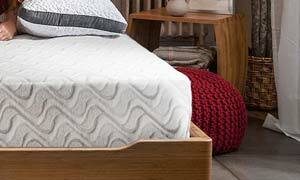 Many of the beds use a high-density memory foam layer that blends slowly to the softer top. Customers should monitor their bodies each morning after they have bought a new mattress. While having a soft comfortable bed is nice, it is important to protect your joints and spine. It is important to know the difference between firmness and support. Firmness is the initial feel of the bed when you first lay down. Sleepers sink into softer beds, while remaining on the surface of harder beds. Support comes from the denser layers beneath, providing a foundation for the sleeper through the night. 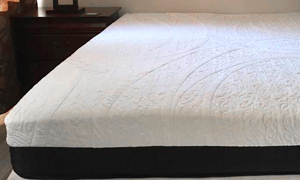 Side sleepers typically need a softer to medium firmness mattress. The bed should allow the shoulders and hips to sink into the mattress, to increase the surface area of the bed that touches your body. More surface area means fewer points of pressure that can cause numbness and pain. Scientists have found that temperature plays a huge role in sleep. Overheating even a few degrees can cause a night of restless sleep. Temperature is critical for side sleepers because they use soft mattresses. Softer beds are (memory foam especially) notoriously hot. The build up of heat comes from the fact the sleeper sinks deep into the mattress. It is important that side sleeper mattresses can disperse heat efficiently to provide a cool sleep. The right pillow is essential for a side sleeper. Unlike a back sleeper, your head is raised high off the bed. We have found that pillows that hold their shape are essential for ideal head support. Our favorite side sleeper pillow is the Suissly Medium Soft Pillow (read our review here). The microfiber filling holds its shape while providing a cool hypoallergenic sleep. I hope I helped in your search for the best mattress for side sleepers. And if you end up buying one of these beds, I’d love to hear your feedback in the comments below. Are you a mattress company that thinks your mattress might fit this list? Contact me and I’ll try it out and see.